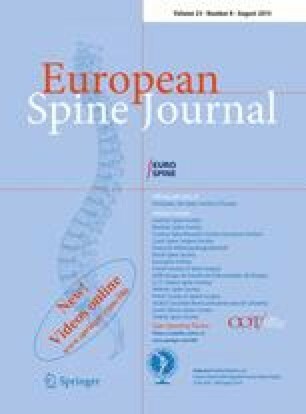 This prospective study with independent clinical review was set up to monitor the clinical outcome of patients when using serial periradicular/epidural corticosteroid injection techniques in managing cervical radiculopathy. Over a 10 year period, between 1986 and 1995, a consecutive series of 68 secondary referral patients presenting with cervical radiculopathy were entered into the study. There were 57 men (84%) and 11 women (16%) of average age 47 years (range 31–65 years). The average duration of symptoms prior to presentation was 2 months (range 1–12 months). All patients apart from one had neurological signs. Of the 64 patients (94%) who under-went imaging, relevant pathology thought to correlate with the clinical presentation was demonstrated in all but one patient. Serial periradicular/epidural corticosteroid injections were used to control pain; an average of 2.5 injections was administered per patient (range 1–6). Patients underwent a final clinical examination when their pain had remained satisfactorily under control for an average of 7 months (range 1–23 months). They subsequently were reassessed, by an independent clinician, at an average of 39 months (range 4–112 months) after initial presentation, via a telephone interview. Despite the fact that all 68 patients were potential surgical candidates, they all made a satisfactory recovery without the need for surgical intervention. Forty-eight patients (76%) did not experience any arm pain, and of the 15 patients (24%) who did, this improved from 10 to an average of 2 (range 1–4) on a 10-point pain scale. Thus, patients with cervical radiculopathy make a satisfactory recovery with serial periradicular/epidural corticosteroid injections without the need for surgical intervention.